Schell, D. M, and Paul J Ziemann. 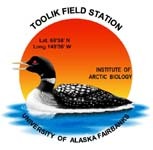 “Natural Carbon Isotope Tracers In Arctic Aquatic Food Webs”. In Stable Isotopes In Ecological Research. Stable Isotopes In Ecological Research. New York: Springer-Verlag, 1989.